Candle Color Meanings - Color is a form of vibrational energy which affects us on different levels. Subconsciously, we all know how we react to different colors. Red, for instance, stimulates and excites us, while blue is calming and soothing. The color of a candle, or of anything in your immediate environment, is like a key which unlocks a certain compartment of your subconscious mind, and of your entire being. Those who cannot actually see colors can nevertheless feel their vibratory effects, because pigment is matter releasing energy at a certain rate of speed, or wavelength. That wavelength, or frequency activates, or energizes a certain part of your being as it penetrates your sight or your aura. Its impulses are transmitted to your brain along the nerve routes. Each color carries the vibratory effects of one of the Planetary influences, and / or one of the four elements - Earth, Fire, Air, or Water. .Since the beginning of time, colors have been endowed with magick. The ancient Egyptians used color in their Temples of Healing. The Chinese and the Chaldeans used it, as did the mystics of India who associated colors with the chakras. Pythagoras used it for healing. You cannot live without colors, it is your omnipresent companion throughout life. The actual symbolization of each color will be found to differ with authority, tradition, or school of thought, and in the final analyses, the only actual true authority for you is yourself. However, if you are not quite sure what each color means to you, or reminds you of, or makes you feel like, here are some universal guidelines from the fields of psychology, art and religion, which you may or may not accept. White candles are used for for cleansing, purification, healing, blessings, protection, purity, chastity, truth, sincerity, peace, spirituality, enlightment, prophecy, clairvoyance, clarity, rest, wholeness and joy. White also heals emotions, provides protection, repels negative energy, relieves tension and aids in meditation. The white candle represents happiness, unity, and is the highest spirituality and the highest level of consciousness to protect, purify, and heal. White represents truth, unity, harmony, and wholeness of spirit. The user who burns a white candle is invoking lunar energy. Since all colors are derived from pure white light, it is the balanced presence of all colors in synthesis, so white candles can be substituted for any other color in many rituals if necessary if what you want is unavailable at the time. It therefore gives off a very positive and powerful vibrtion. The color white eliminates negative feelings and encourages a positive approach to life. Used for concentration rituals and meditation work. 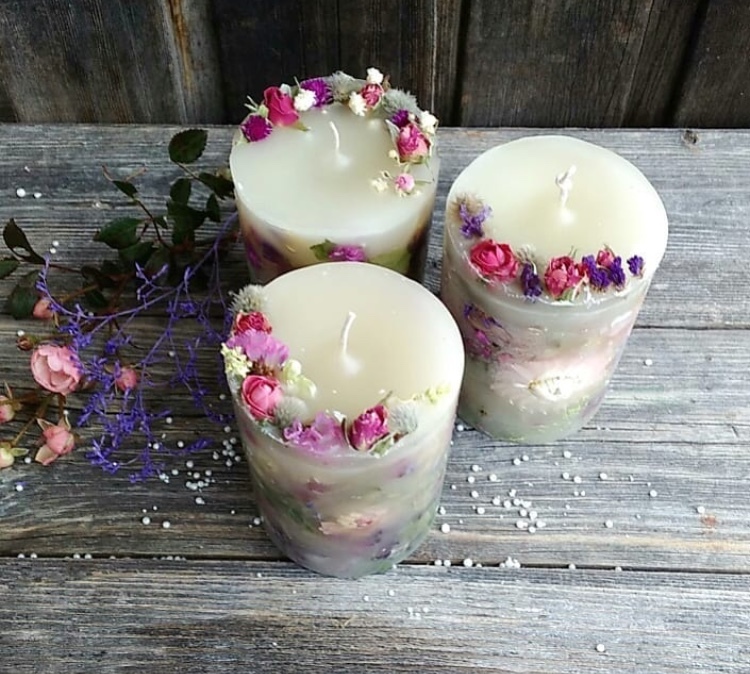 White candles are used in protective, consecration and cleansing rituals, for healing the whole person, for spiritual matters, and for contact with one's higher self and angels or spirit guides. In magic, white represents light and clear vision, and so is helpful where a new beginning or a sudden burst of energy and enthusiasm is needed. White is a good color for rites-of-passage work, especially for birth, marriage and welcoming rituals. Like silver, white is associated with female energies, lunar rituals, so a white candle is especially potent on Monday, the day of the moon. White is the color of Ceremonial Magick, as it is used for all types of ceremonies and rituals. The color of purity, white represents friendship, infancy. Crystal white is the color of sincerity, divinity, transformation and singular focused sounds such as a gong or bell. White is also the color of The Goddess, and so used in all forms of blessings. What Does the Angel Number 3 Mean?